High surf and strong rip currents could lead to flooding and dangerous conditions at local beaches Saturday evening, the National Weather Service said. The weather service ssued a beach hazards statement through midnight for San Diego coastal areas, as well as the shorelines in Orange, Los Angeles and Ventura counties. Surf of two to four feet could cause minor flooding of low-lying roads or parking lots near the water’s edge, forecasters said. Rip currents will make the waters dangerous for swimmers and will enhance the flooding effects of the high tides. Areas susceptible to flooding during high tides include Oceanside and Imperial Beach in San Diego County. 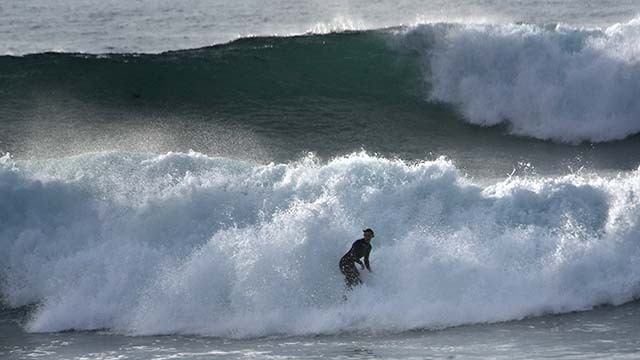 South-facing beaches in Orange County will see the highest surf.